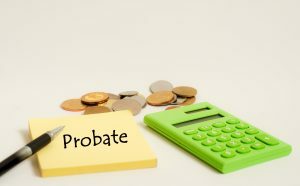 If you serve as Personal Representative of an estate there are many statutes and duties you need to abide by. What happens if something goes wrong? Can you be sued not only in your capacity as Personal Representative, but also individually thereby exposing your personal assets? Depending upon the circumstances, yes, according to one recent Arizona case. Arizona law provides that unless provided in the contract, a personal representative is not individually liable on a contract properly entered into in his fiduciary capacity in the course of administration of the estate unless he fails to reveal his representative capacity and identify the estate in the contract. Further, a personal representative is individually liable for obligations arising from ownership or control of the estate or for torts committed in the course of administration of the estate but only if he is personally at fault. Arizona Court of Appeals recently heard a case involving a Personal Representative’s individual liability when the Personal Representative failed to disclose that he was acting in a fiduciary capacity on behalf of the Estate. In this case, Plaintiff purchased a house from an estate. Well after the sale, Plaintiff sued the Estate and the Co-Personal Representatives of the estate, in their capacities individually and as Personal Representatives. Initially, the Superior Court dismissed the Plaintiff’s complaint, so the Plaintiff appealed to Arizona’s Court of Appeals. On appeal, the Plaintiff argued the Superior Court should not have dismissed the personal liability claims against the Personal Representatives of the Estate in their individual capacities. The Court of Appeals agreed. Under Arizona Revised Statute §14-3808(A), a Personal Representative is individually liable on a contract entered into in his fiduciary capacity in the course of administration of the estate if he fails to both “reveal” his representative capacity and “identify the estate” in the contract. In this instance, the Personal Representatives did not disclose on the initial purchase contract that they were acting as Personal Representatives of the Estate, or that the estate was the actual seller of the house. Specifically, the purchase contract identified the deceased person as the “seller” and the Personal Representatives signed their own names under the “seller’s signature” section of the contract. As such, the Plaintiff argued that because the Personal Representatives failed to identify their role or the estate in the purchase contract they cannot subsequently be shielded from personal liability by statute. The court sided with the Plaintiff and reasoned that, the purchase contract, as it was written, was insufficient to provide notice that the Personal Representatives were acting on behalf of the estate. The Court further reasoned that, even though the subsequent warranty deed was signed by the Personal Representatives, and indicated their capacities, the post-contractual disclosure was, simply put, too little, too late. Ultimately, the Court determined that the Co-Personal Representatives failed to comply with specific disclosure requirements set forth by Arizona Statutes and were not therefore entitled to be protected from individual liability by statute. The case was remanded back to Superior Court to be heard on the merits of whether the defendants were, in fact, liable for any damages. May this case serve as a reminder that whenever you are acting as Personal Representative of an estate, you should always sign your name, as “Personal Representative of the Estate of [the decedent]” to protect yourself from potential personal liability in contract matters on behalf of the estate. Of course, to understand all the duties and responsibilities to ensure proper administration of any Estate, you should always have experienced legal counsel. If you are a Personal Representative and have no legal counsel, you may be putting yourself and the estate at risk. If you need representation, please contact us at Bivens and Associates, PLLC.